A neon green sparkling machine! 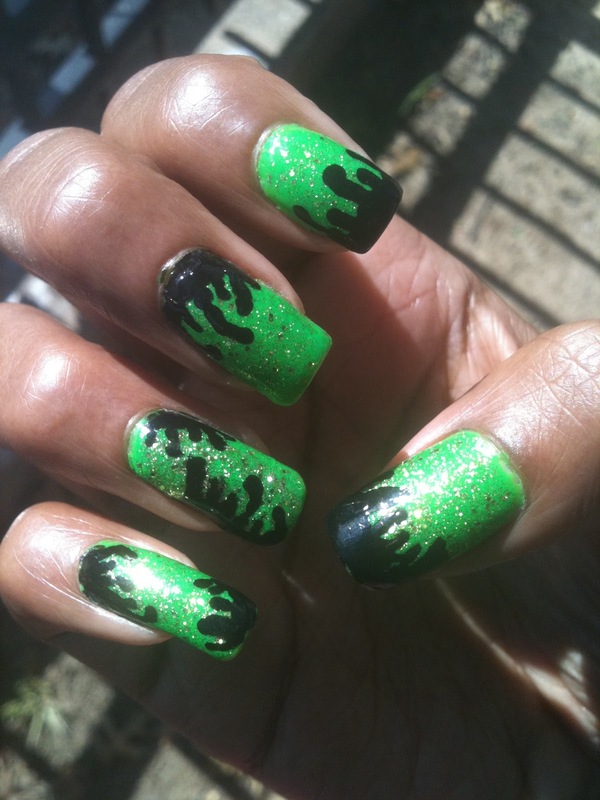 Yup everywhere I went with this mani people stopped and asked about them or complimented me. The sparkle on these is amazing! My camera isn't doing justice to the heavily 3D laden glitter effect of N.O.P.I. 's Brilliant Idea. I'm not sure, but I think this color was part of the Justin Beiber Collection. 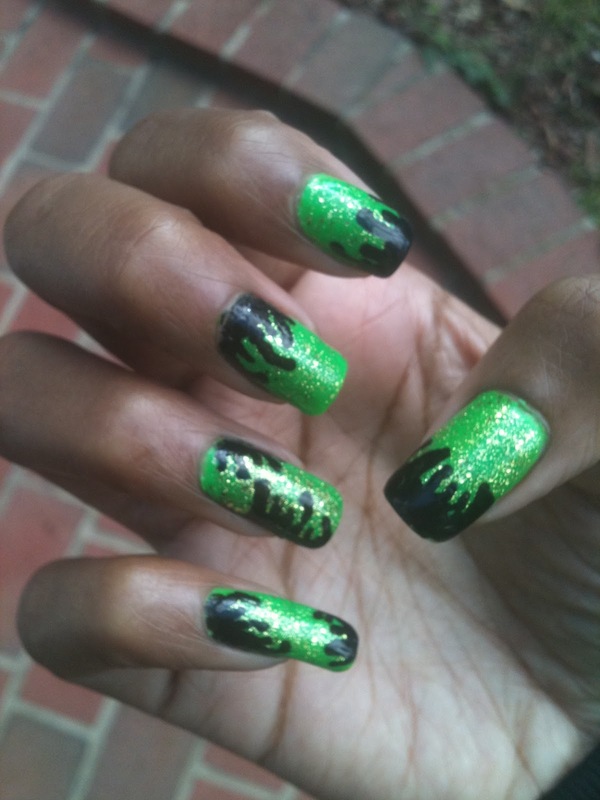 I'm not a fan of the artist, but they came up with some really great polishes for that line. In any event the glitter layered beautifully over Color Club's Feelin' Groovy. 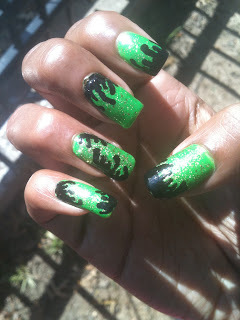 After that a little bit of Sally Hansen's Black Patent and I was in toxic waste wonderland. I love these enough to do another incarnation that's non-Halloween related. It seems recently my lust for glitter polishes is undying and I've picked up several more to have fun with, but for today let's get toxic! Look at the sick amounts of glitter on these! Want to see exactly how I did it and the products I used? See the tutorial below.